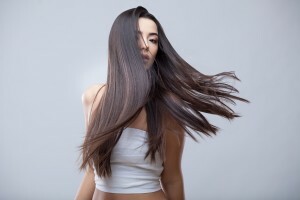 The Brazilian keratin hair straightening treatment you have done at your local professional salon can last anywhere from a few weeks to a few months. But you can keep your hair looking long, lush, and straight even longer when you maintain it with the right hair care products, including professional-grade shampoos, conditioners, and other products from Marcia Teixeira. Your keratin-treated hair will maintain the same stylish, attractive look for weeks or even months after leaving the salon when you maintain it with these professional-quality hair care products from Marcia Teixeira. Since they were introduced, Marcia Teixeira’s brand of salon-quality hair care products have been enormously popular. And customers are gushing about how great they make their hair look. Marcia Teixeira’s salon-quality hair care products are getting rave reviews like this on Amazon and everywhere else they are available. If you want to keep your keratin treatment looking just good as it did the moment you walked out of your local professional salon, then use the salon-quality Marcia Teixeira hair care products.